Just for Fun. Is just that, fun crazy, unusual, looks into my life. This is who I am! Keep having to look up fabric measurements? 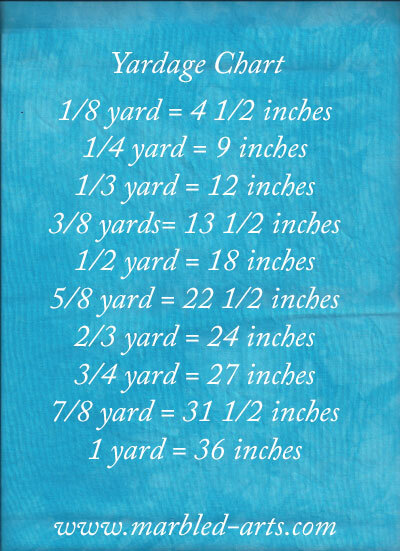 Created this handy Yardage Chart! Every wondered what 200 yards of fabric looks like? Well, I found out. Normally I order 400 yard, 100 yards per roll, easy to handle. 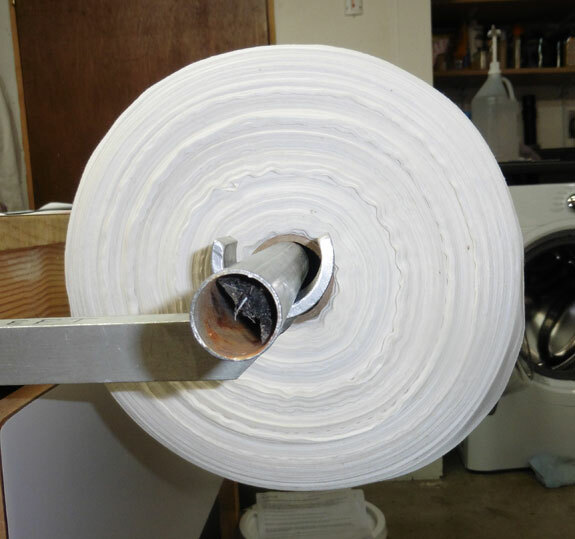 But instead this shipment arrived with two 200 yard rolls. Fabric wrestling at its finest. 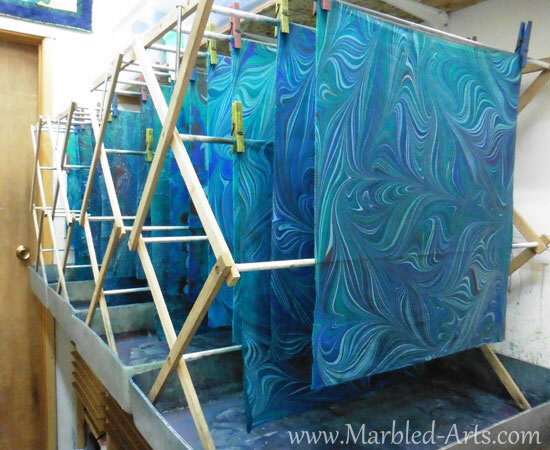 Not to worry, I am in the middle of dying all of my fabric for marbling and updating the photos and color selection on my web site www.marbled-arts.com The new photos are much larger and easier to view. Below you can see a few of the new beauties. 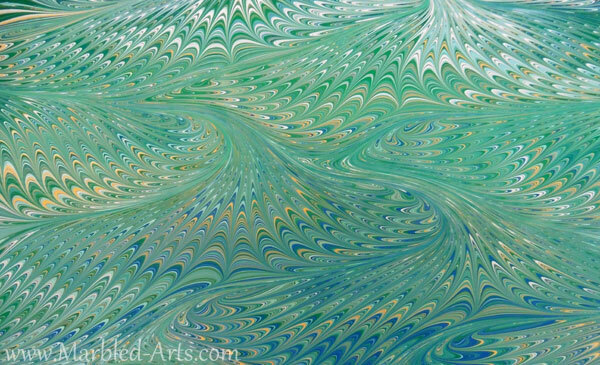 Blue-Green is always a favorite. 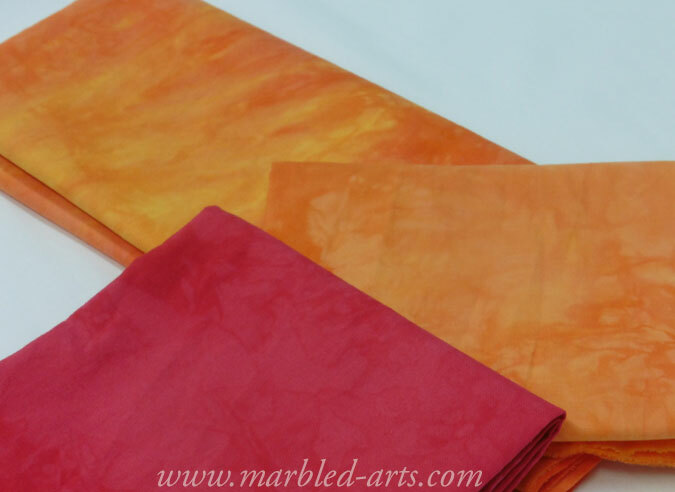 Tangerine is becoming popular. I cannot make up my mind, if this is orange or yellow. Depends on what you put next to it. 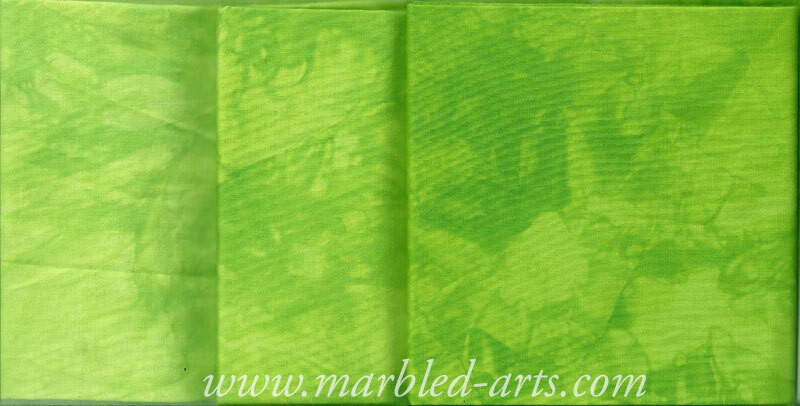 Chartreuse, just makes me smile, now in dark, medium and light. 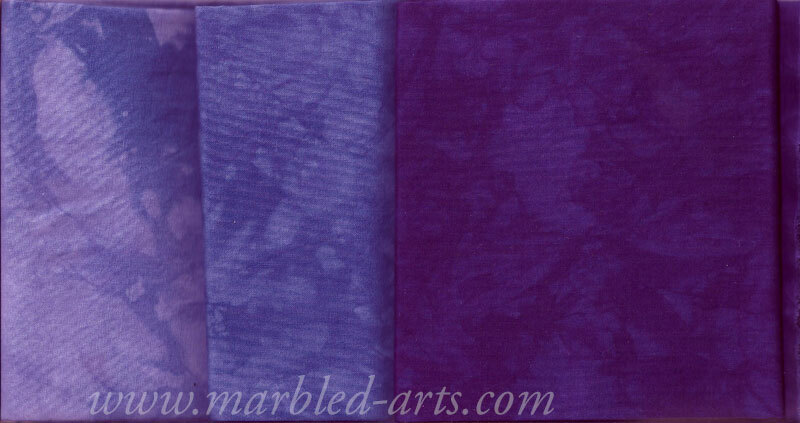 Pansy Purple, rich deep dark purples. 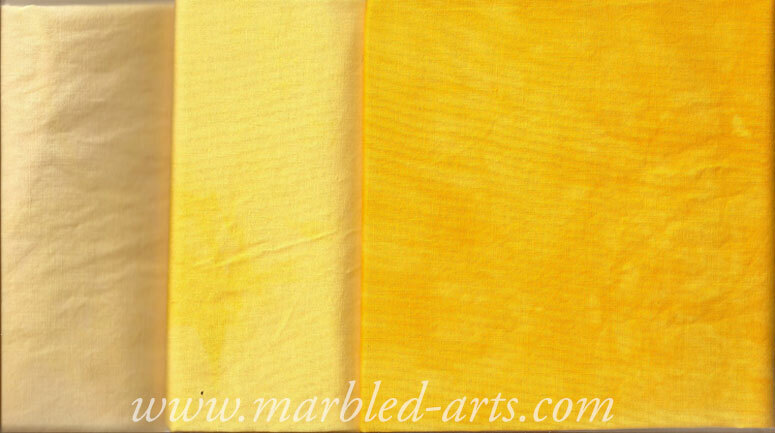 Yellow, because it is always hard to find a good clear yellow. Fire and Emotion Red, Yum!!! Spring is here in Full Force! 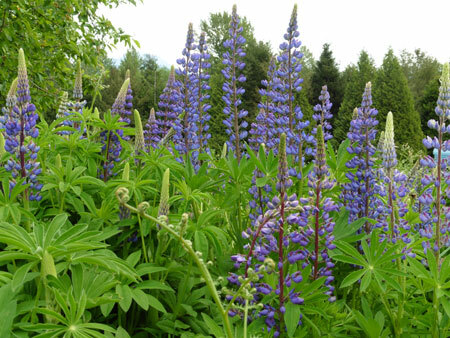 The lupine have exploded. I was gone for a few days at a Quilt Show and was shocked at how fast they grew. Blooms and bees everywhere. Gives a new meaning to “This place is buzzing”. 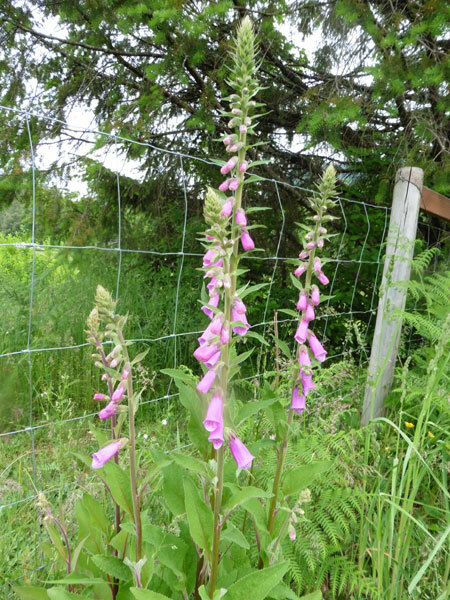 A Few Fox Gloves have also appeared. They are wild and just show up when and where they feel like it. More are on the way. 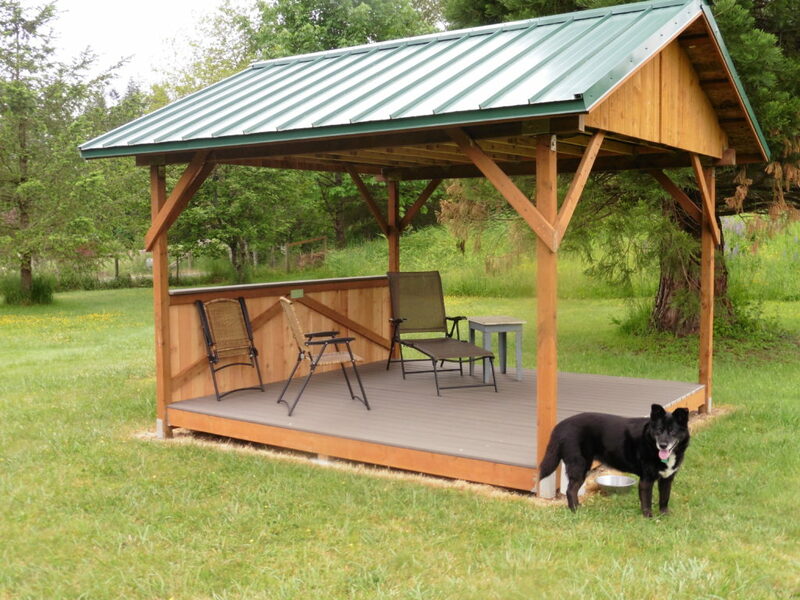 And best of all Miss Molly and I have a new Deck. This is where we spend our afternoons reading. Yes, we had snow for a month. It started with beautiful fluffy powder. 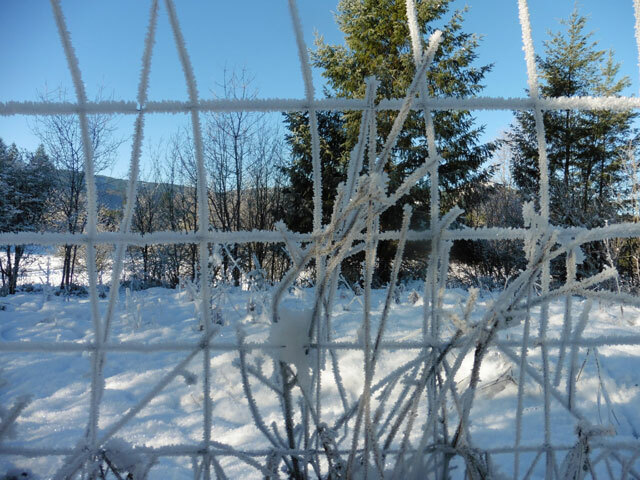 Then it hung around and turned into ice, also referred to as Cascade Concrete. 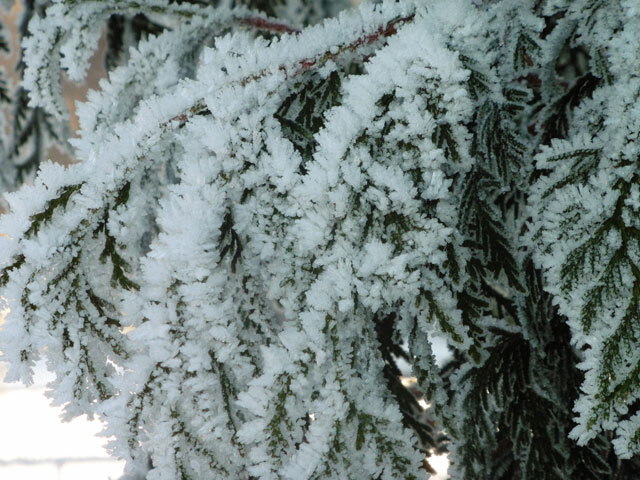 We even ended up with some beautiful Hoar Frost. I put all of that hard icy snow to good use. You guested it, Snow Dying. 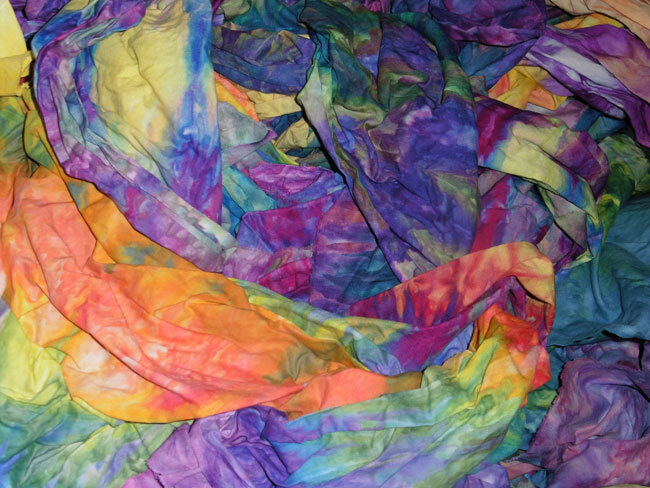 Yep, my pile of yet to be ironed Snow Dyed Fabrics. WOW! I did create some beauties. You can find them on my website. I am still ironing and will be adding more to tempt you. 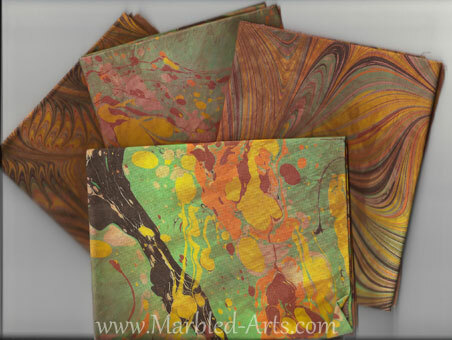 Finding the perfect colors for each hand marbled pieces of fabric can be a challenge. 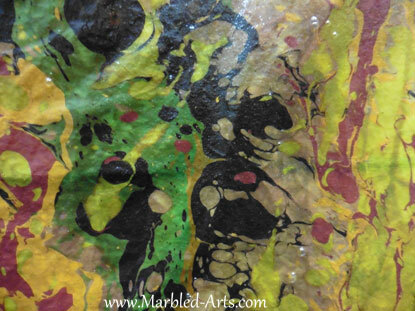 Generally I find myself using a combination of six colors. The tricky part is that the paints I use are opaque (Solid), translucent (see through but not clear) and transparent (clear). 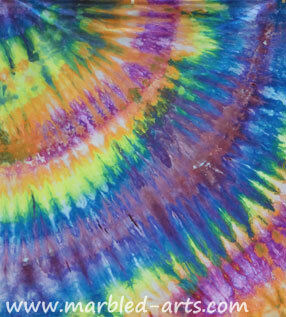 Each color is printed on a colored background. 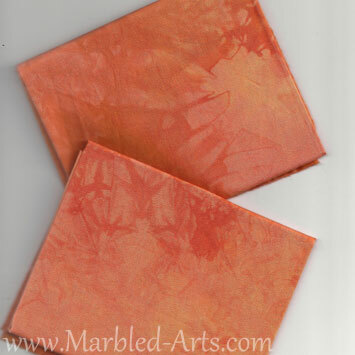 I am using Burnt Orange for this example. All of my paints are in clear jars. A fair amount of fiddling around and trying different combinations of paint follows. 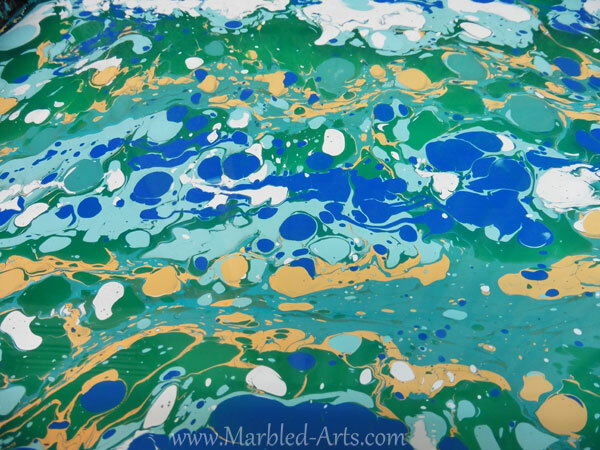 My favorite combination is dropped onto the clear marbling base. Sometimes that can change the look of the colors. 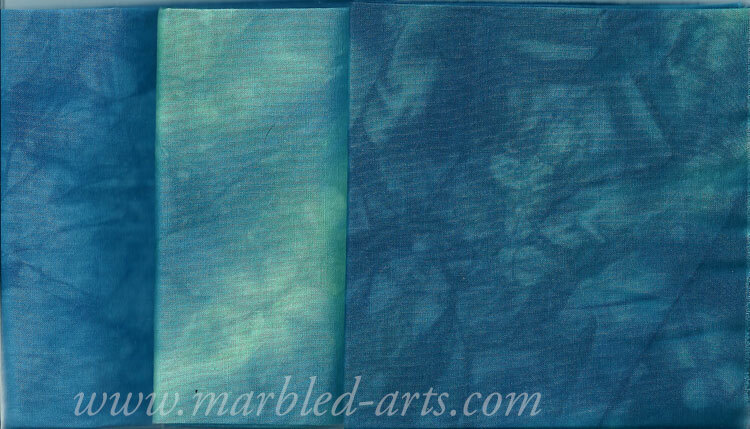 The hand dyed fabric is the gently lowered onto the base. They are lifted and rinsed. 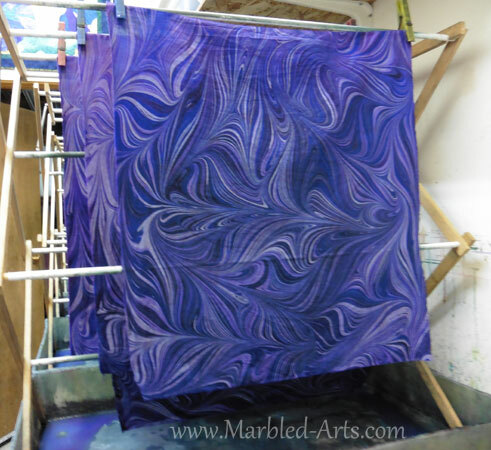 I discovered it is hard to photograph wet fabric. The water reflects the light, just like a lake or pond. 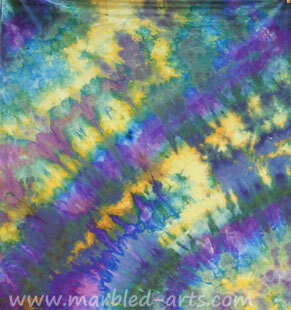 Opaque colors tend to stay the same, translucent colors may darken or appear to mix with the fabric color, transparent color allows the hand dyed color to shine through. More fiddling with the combination maybe required at this point. 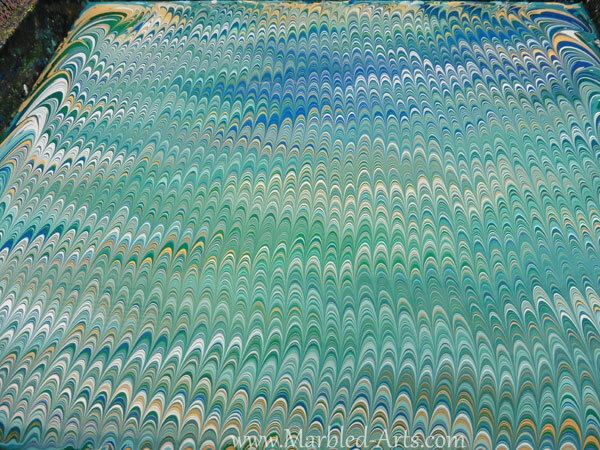 The colors often change once they dry. The hard part is waiting fifteen days for the paints to cure. 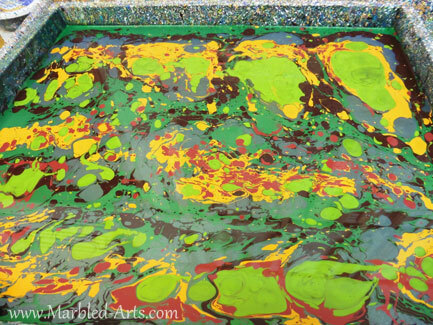 No trying to rush them or the colors do not adhere properly and all of the work is wasted. The cured fabric is washed, dryed and ironed. It takes about three week from start to finish. 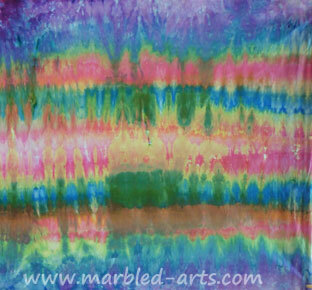 I have been busy dying fabric to marble. 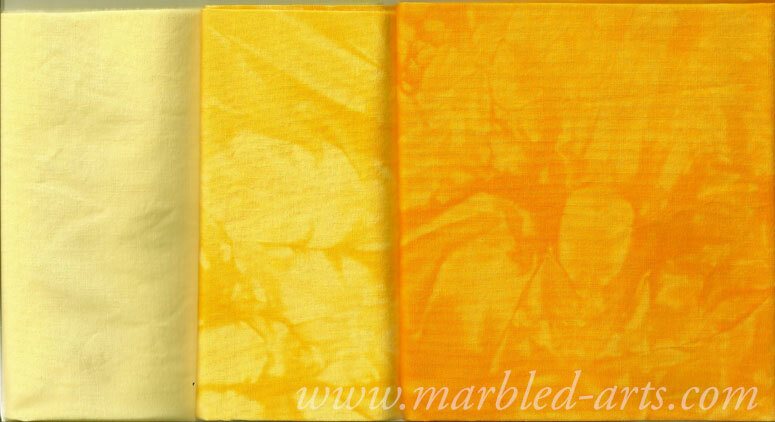 I have two large piles of fabric dyed, thought I had best get started on the marbling part. 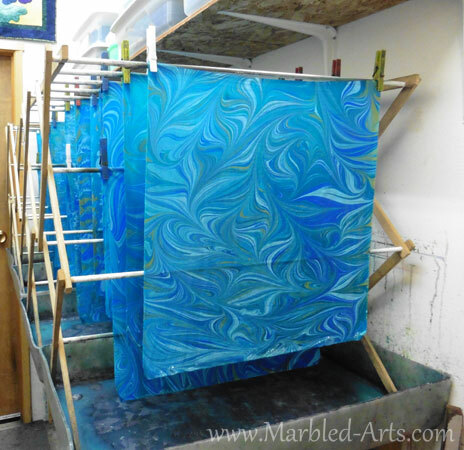 Here is a glimpse into the marbling process. 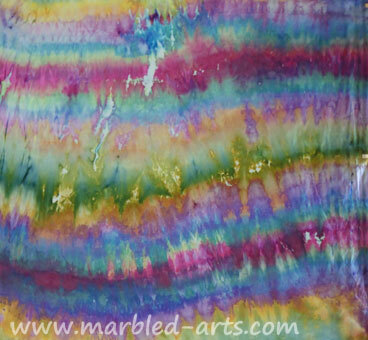 River Rocks – this is how the marbling base looks after I drop the paints onto the surface. 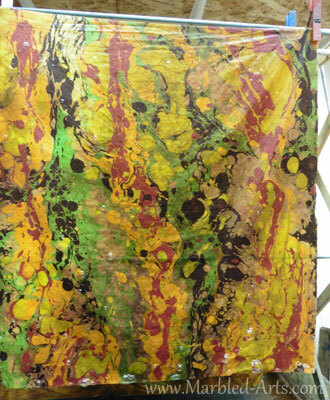 The paint expands and I can drop the fabric at this stage or carry on. 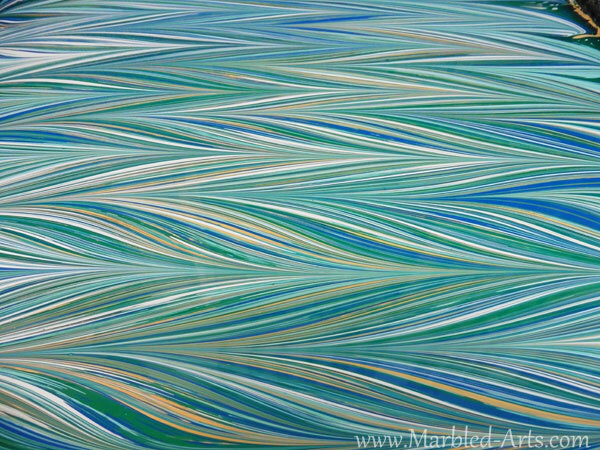 The first step in moving the paint and creating a design is always Gel-Git which means back and forth. 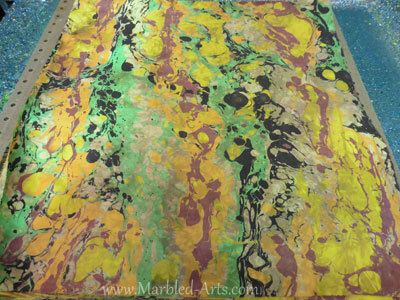 It is the foundation for most marbling designs. Followed by Cascade. I use a selection of custom made rakes and combs, different widths 1/4″ to 3″ gaps. I can go several ways at this point, this piece turned into Dragon Wing. This is one of my original designs and the name is because everyone sees some sort of wing it the design. 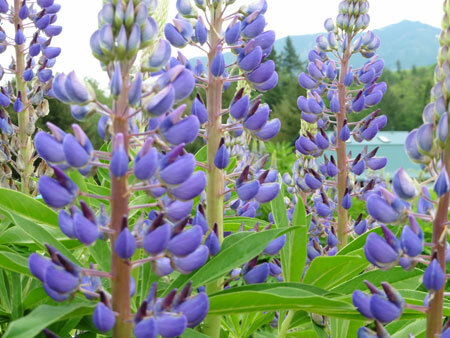 The first three days of color are Cerulean, Purple and Teal. The colors are always darker when the are wet. 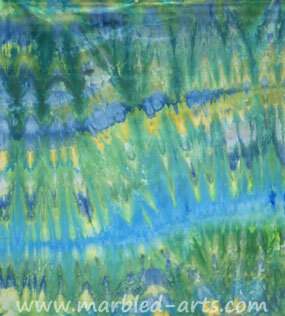 Some colors are opaque, others are transparent, that may call for adjusting and fiddling with the colors a bit. 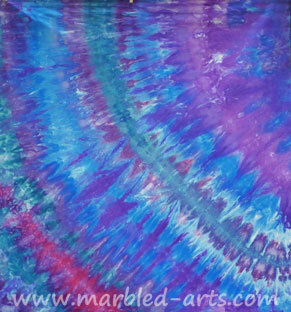 I also have started using a clear Iridescent paint, because it is clear it allows the hand dyed fabric color to shine thru for more drama. Room for twenty pieces per day. They get to drip dry over night, followed by a two week rest to cure. 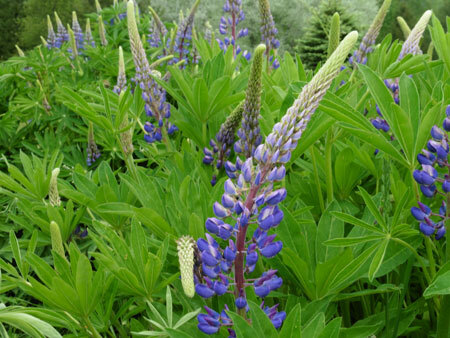 Lupine in full bloom with more on the way. Reaching for the sun in the early morning. And many more blooms on the way. 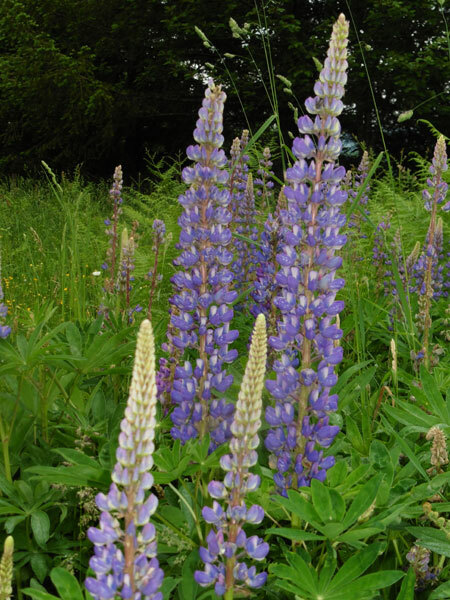 My lupine always bring a smile to my face. They also make the bee population very happy. 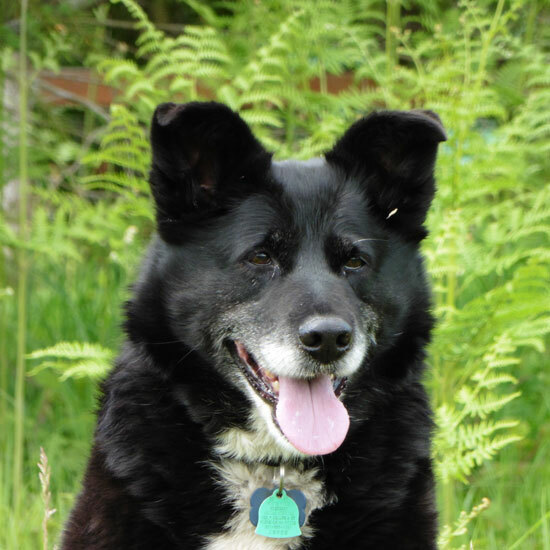 Miss Molly my ever faithful companion, finally got her to sit still for a photo.